Although I cannot find a photo of the float, I imagine it had a football player dressed as a knight all in white, stomping the opponents. 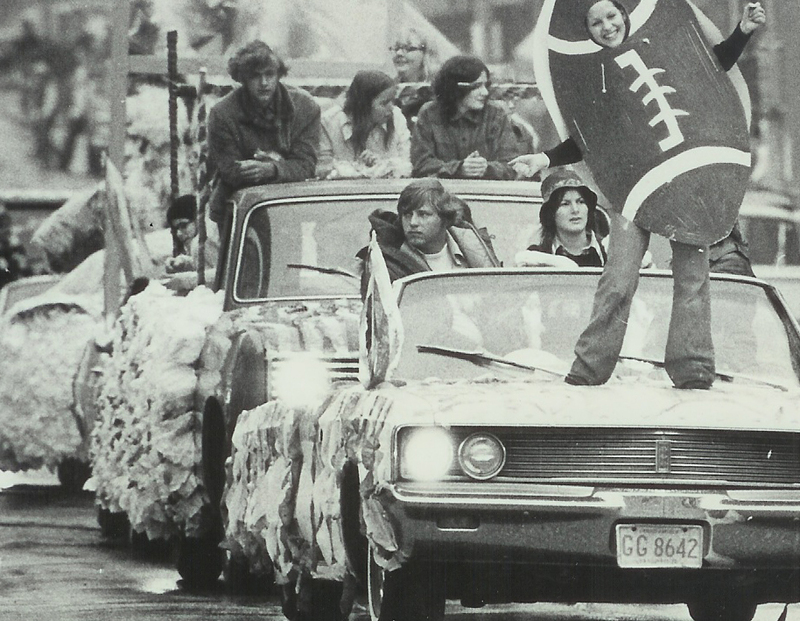 I still don’t know much about homecoming parades. They don’t have them here in Bethesda. So, my memory of this Moody Blues song is of being cold, riding in the back of a pickup truck tossing candy to kids along the way. That’s me, in the pick-up truck. I’m the one wearing a black cap. You can see only my face. I associate this band with my cousin. She’s about your age.Nice post. Fun photo. This is one of my all time favorite songs. And groups.I really have a thing for Graeme Edge. Kick Off Your Muddy Boots anyone? Hee, hee, I love the title of this post.